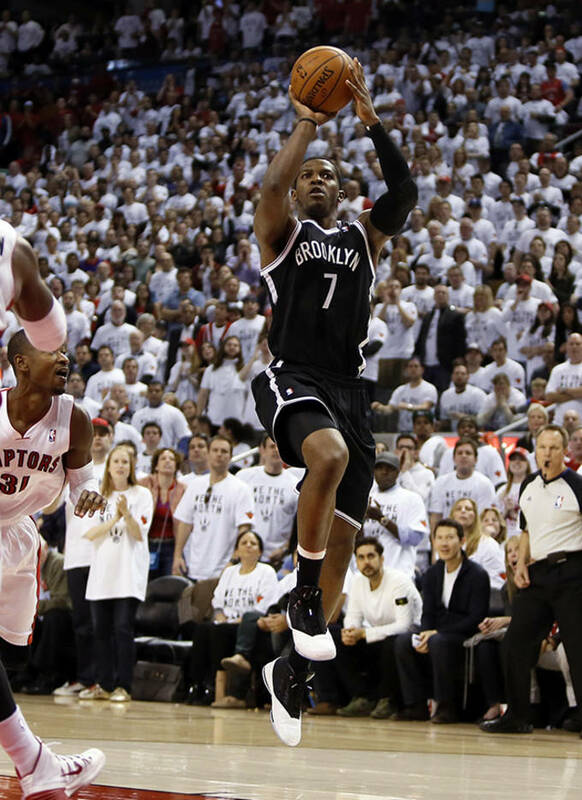 The NBA Finals are set to begin tomorrow night, but let&apos;s not forget the wild six weeks of actions that is the first three rounds of the NBA Playoffs. 16 teams competed for the ultimate prize and featured many crazy moments as well as some great shoe debuts throughout. At the end of the day, we&apos;re left with two teams left competing for a championship. 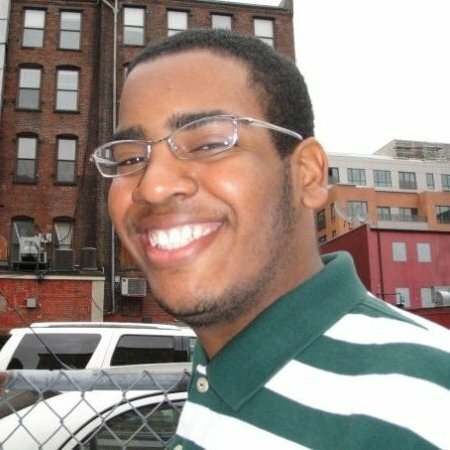 Let&apos;s not forget the best of the best though. 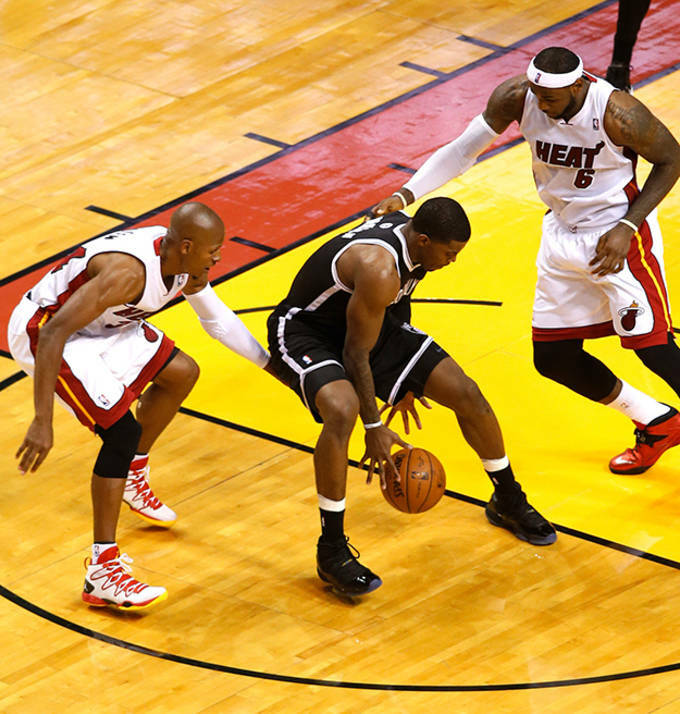 Here are the Best Shoes Worn for the First Three Rounds of the NBA Playoffs. 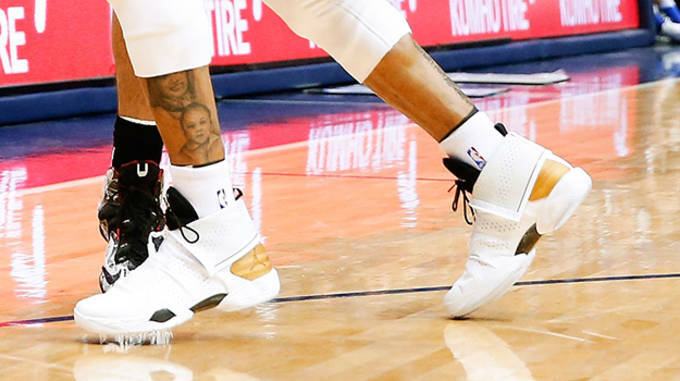 The Jordan Melo M10 was not expected to make any noise in the NBA Playoffs since signature athlete Carmelo Anthony and his New York Knicks failed to earn a postseason berth. 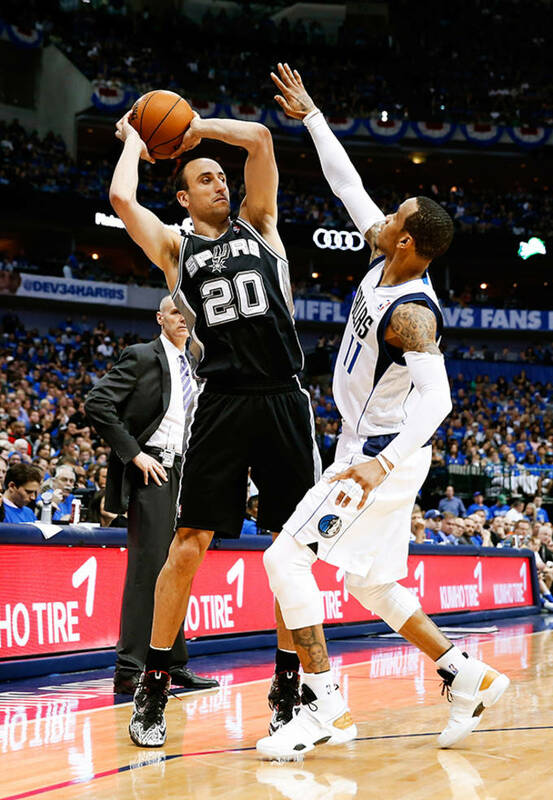 Kawhi Leonard of the San Antonio Spurs brought out his own PE of the Melo M10 during San Antonio&apos;s first round matchup with the Dallas Mavericks. 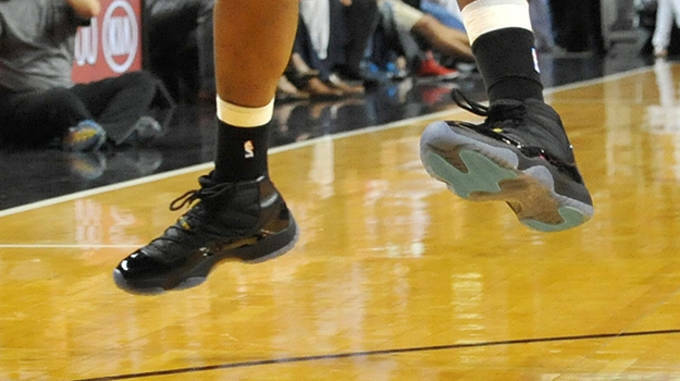 Although, he has opted to go with the XX8 SE for the rest of the playoffs, it doesn&apos;t top these clean PEs. 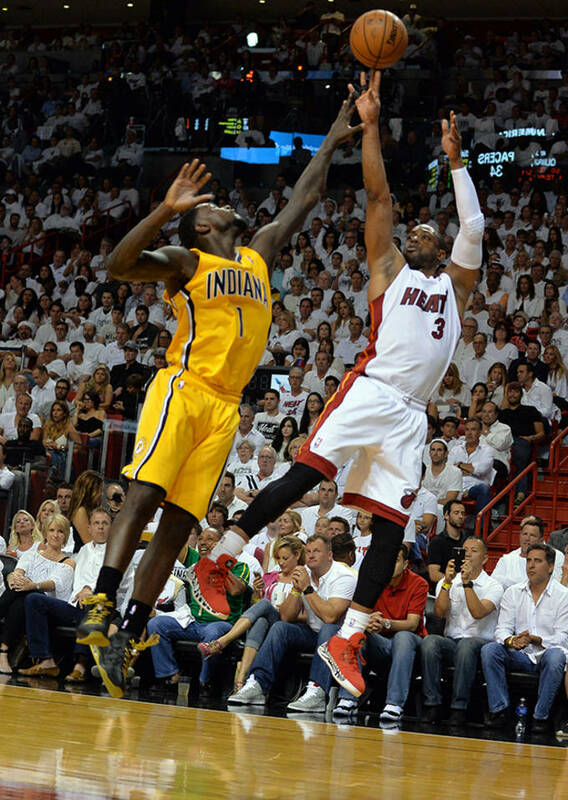 The Playoffs give Dwyane Wade a chance to showcase the Encore version of his Way of Wade&apos;s every year. 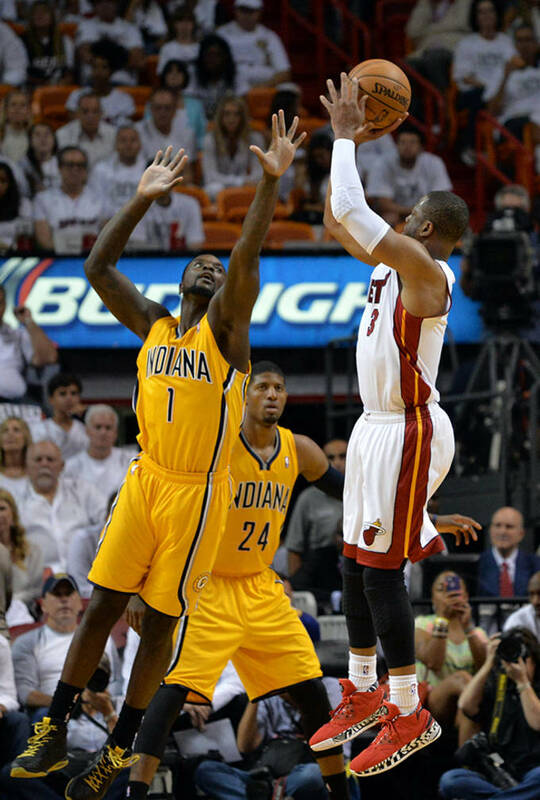 After debuting the Way of Wade Encore last year, Wade rolled with the 2.0 Encore throughout the entire postseason. 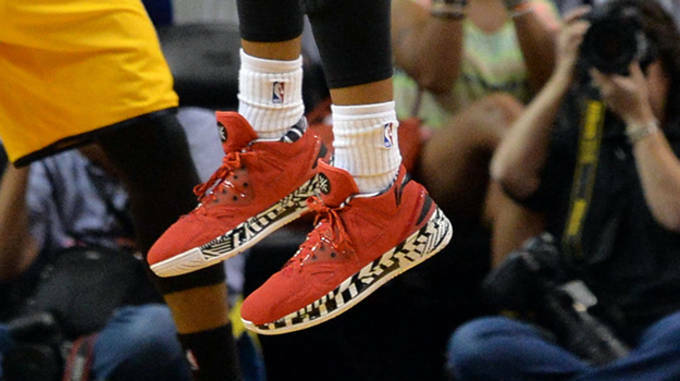 Wade&apos;s been solid this postseason in various PEs of the Way of Wade 2.0 Encore. 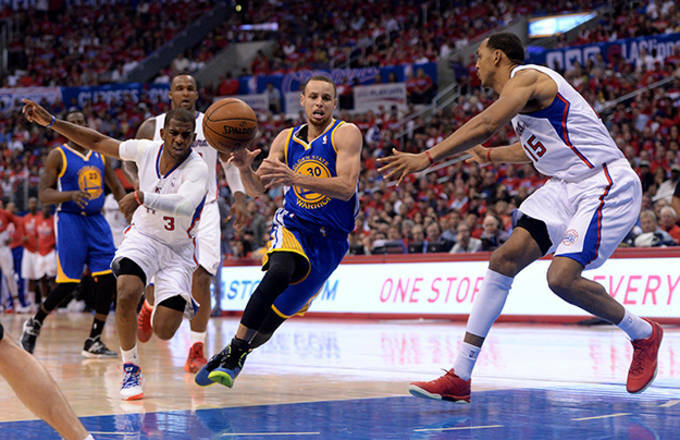 He&apos;s averaging 18.7 PPG and 51.9 percent from the field in the first three rounds. No. 13 - Nike Kobe 9 EM "Laser Crimson"
DeMar DeRozan was only one of a few NBA players to debut the Kobe 9 EM "Laser Crimson" during the latter stages of the first round. 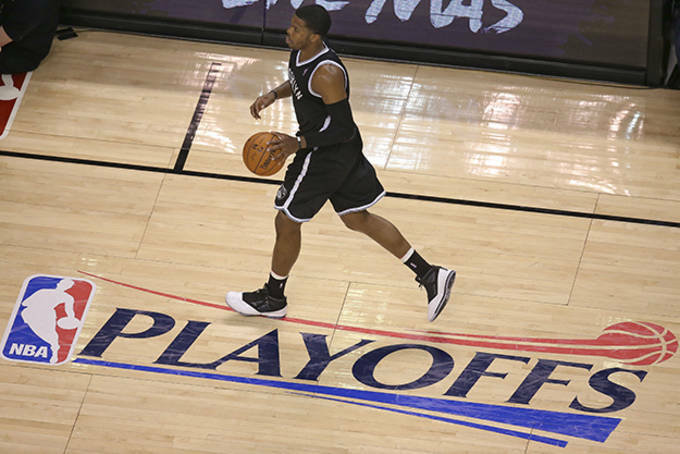 That worked out perfectly for DeRozan who dropped 28 points on the Brooklyn Nets in Game Six of the first round while debuting the shoe on a Friday night. No. 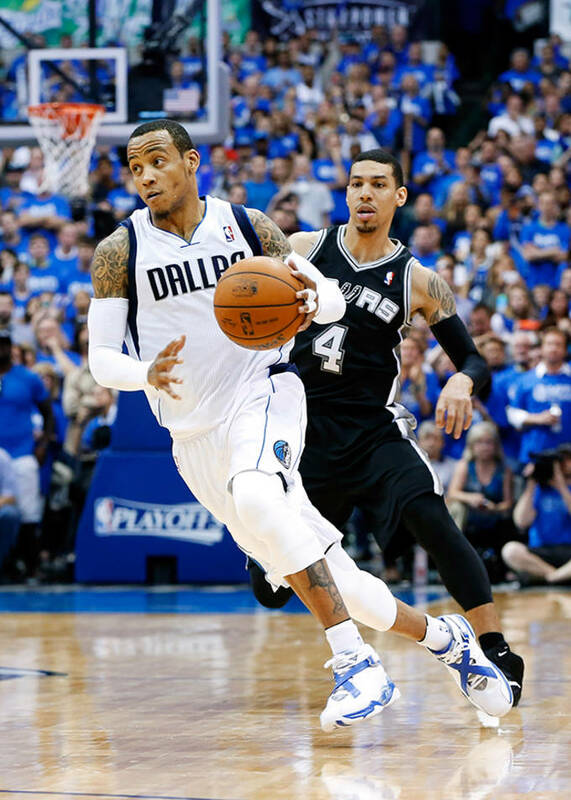 12 - Jordan XX8 "Bamboo"
Monta Ellis wore the Jordan XX8 "Bamboo" for only one half during the postseason, but he made the most of the situation. 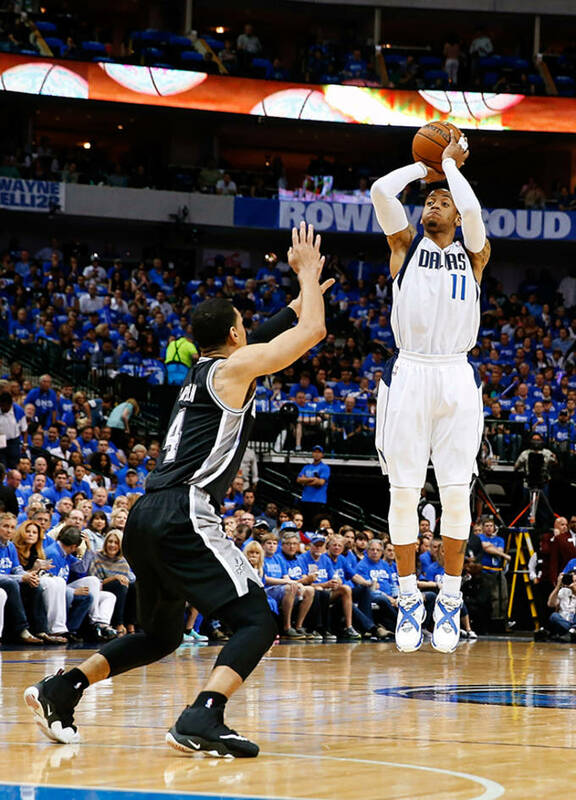 He shot 4 for 12 with 15 points in the second half of Game Four of Dallas&apos; tight 93-89 loss to the San Antonio Spurs. The Washington Wizards were a Playoff surprise, but besides their performance on the court, the team surprised with their shoes on the court as well. 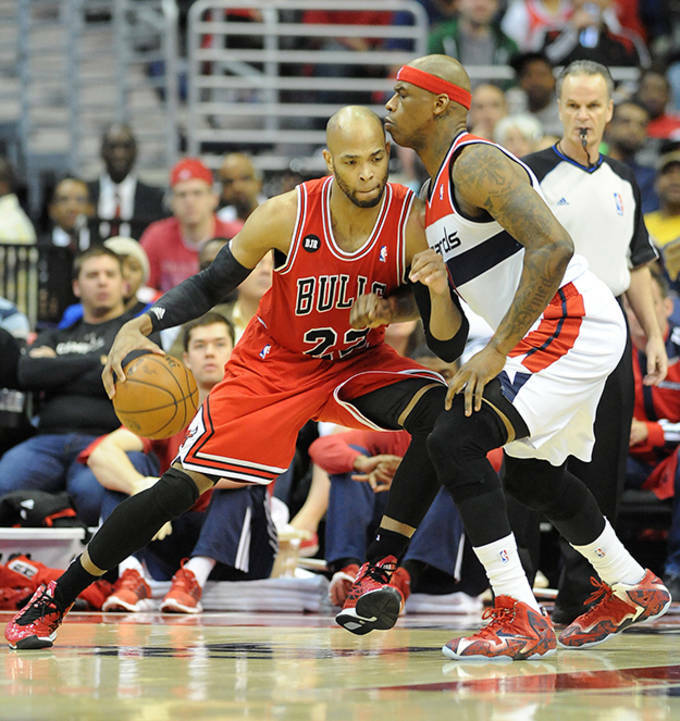 Veteran forward Al Harrington didn&apos;t play too many minutes, but he flashed some nice sneakers. Harrington wore an iD colorway of the Nike LeBron XI during Washington&apos;s two round appearance. 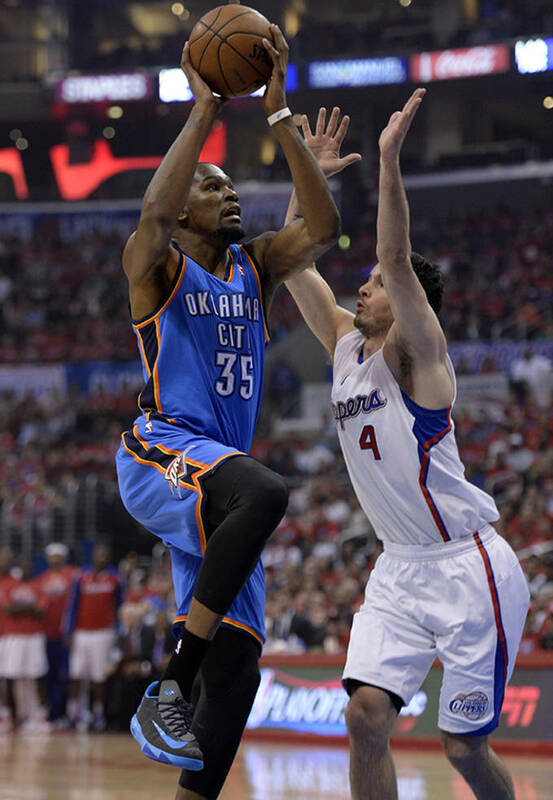 After a brief run with the Nike KD VI Elite during the first round, Kevin Durant eventually stuck with the Zoom KD VI throughout the rest of the playoffs. One shoe that stuck out was a PE with a black upper as well as a navy blue and light blue midsole. 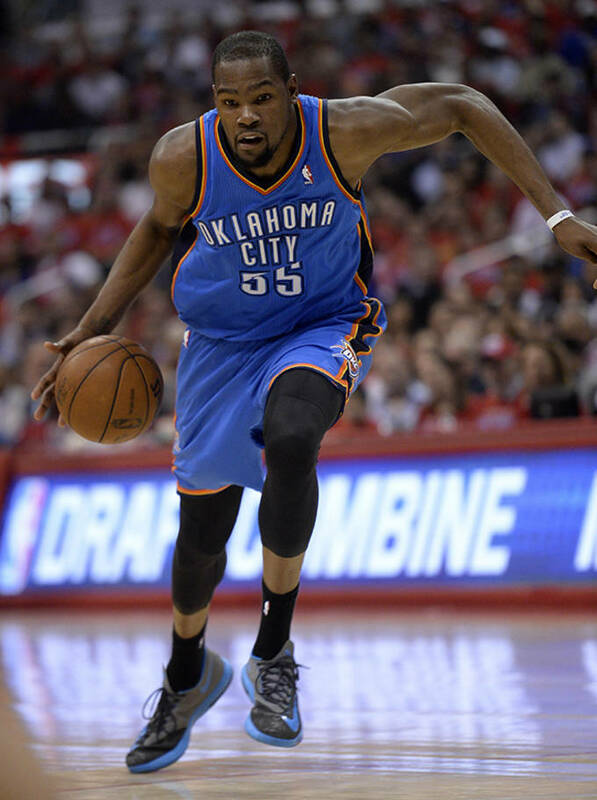 Durant wore this PE during the road games of the Thunder&apos;s second round matchup with the Los Angeles Clippers. 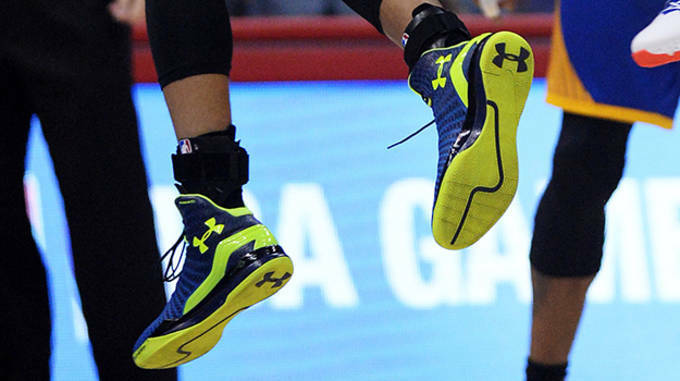 Under Armour was able to showcase a little bit of what the shoe brand has in store when it comes to the new basketball models that are soon to be released. 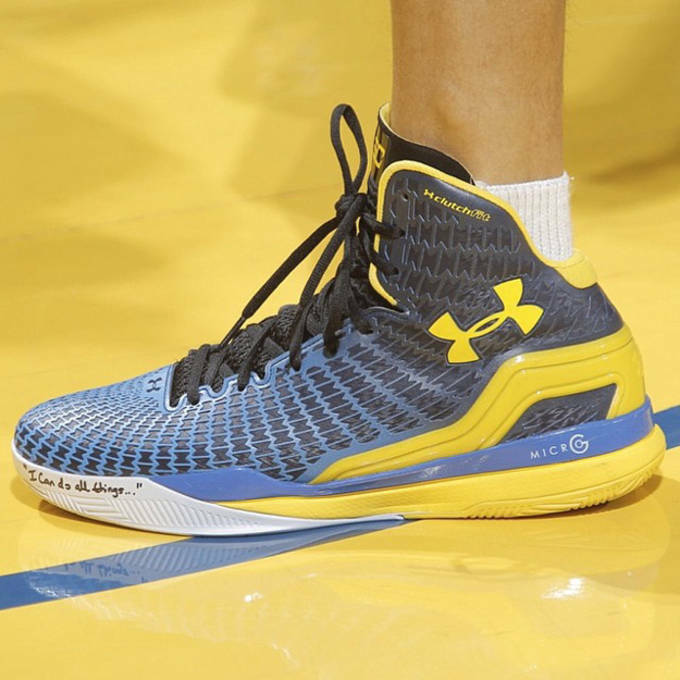 The ClutchFit Drive made its debut when Stephen Curry was spotted in a PE of the shoe for multiple games during Golden State&apos;s first round series with the Los Angeles Clippers. No. 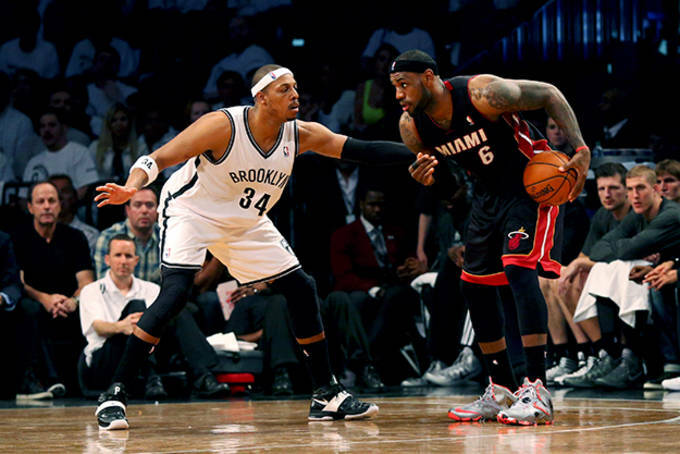 8 - Nike LeBron XI Elite "Team"
LeBron James has built his career upon the idea of consistency, but his shoe choices have been the exact same opposite. 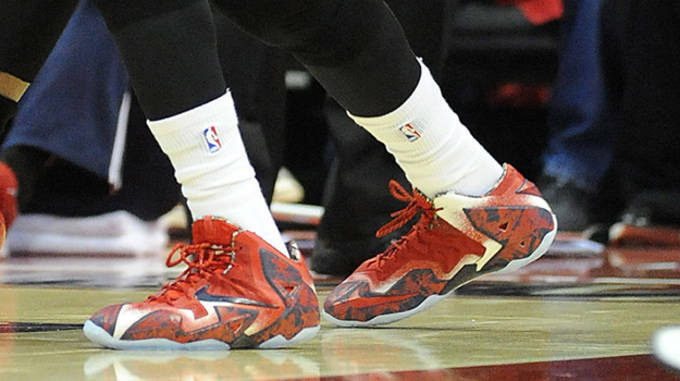 James wore different colorways of the Nike LeBron XI Elite, but as the playoffs have progressed, he&apos;s worn the Elites a lot less and has opted to roll with his Zoom Soldier VIIs. Maybe he&apos;ll go back to the Elite&apos;s for the NBA Finals. 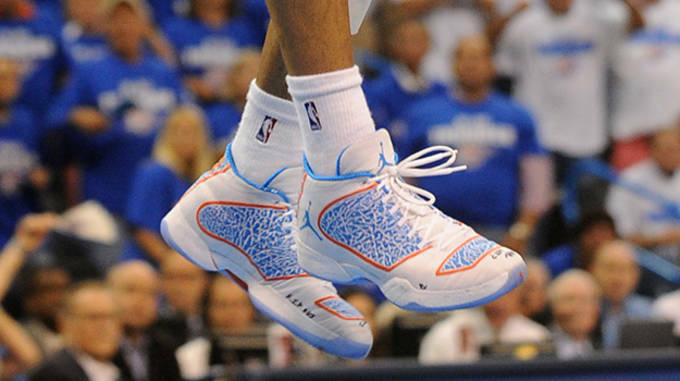 Another big shoe that Monta Ellis surprised everyone with during the postseason was the Jordan 8.0. 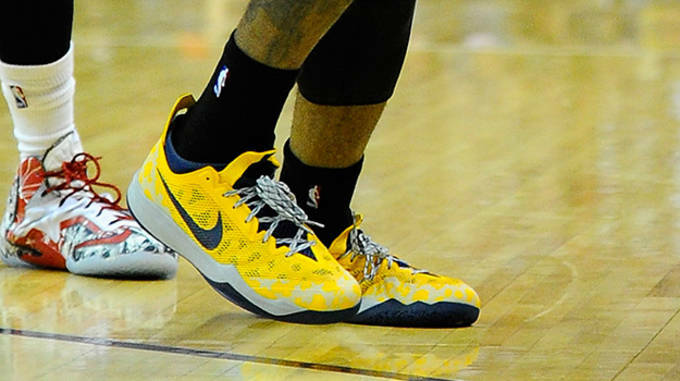 Ellis went with a colorway of the 8.0 that he had previously worn a couple of years ago during his time with the Golden State Warriors. 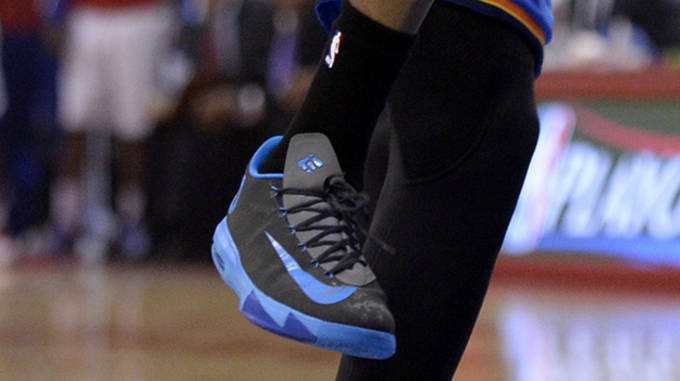 It was a surprise, but with Ellis, you never know what shoe he&apos;s going to wear next during an NBA game. 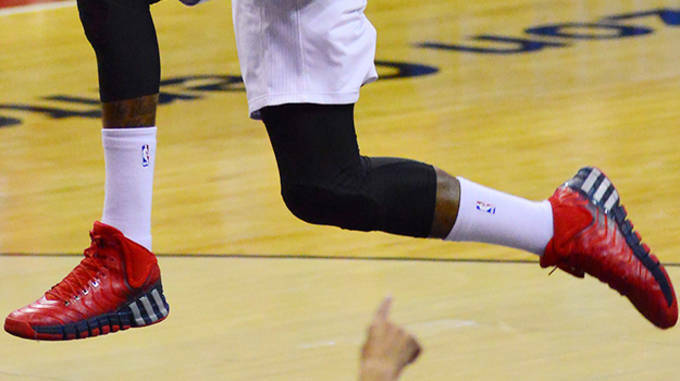 During John Wall&apos;s first postseason appearance, he went with the adidas Crazyquick 2 as his go to shoe. 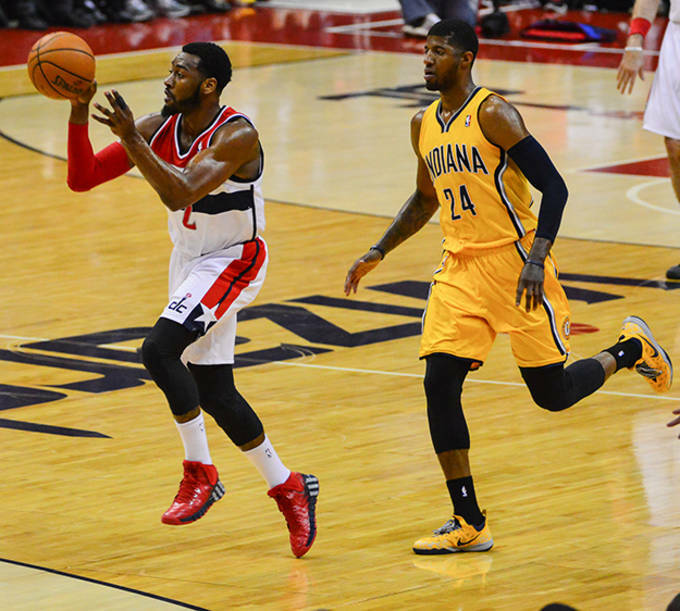 It was a learning experience for Wall and the Wizards. 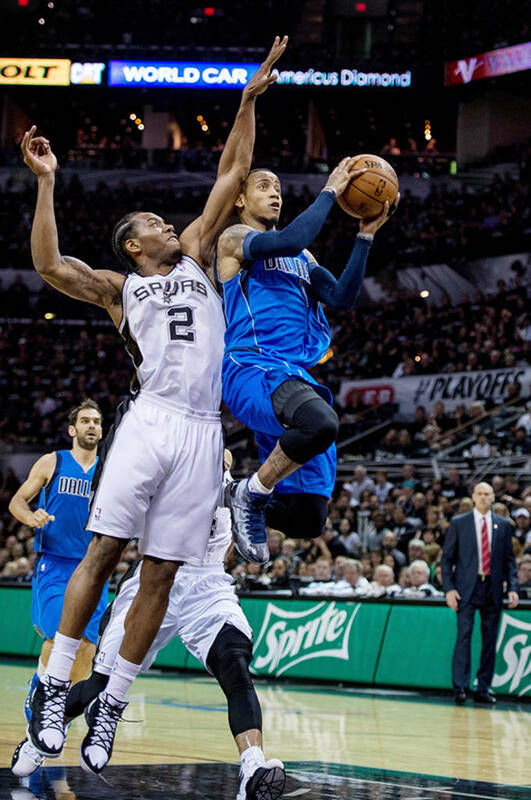 He shot just 37 percent from the field in the Playoffs but was still able to average 7.1 APG through the tough shooting stretch. Is he a superstar or is he not? 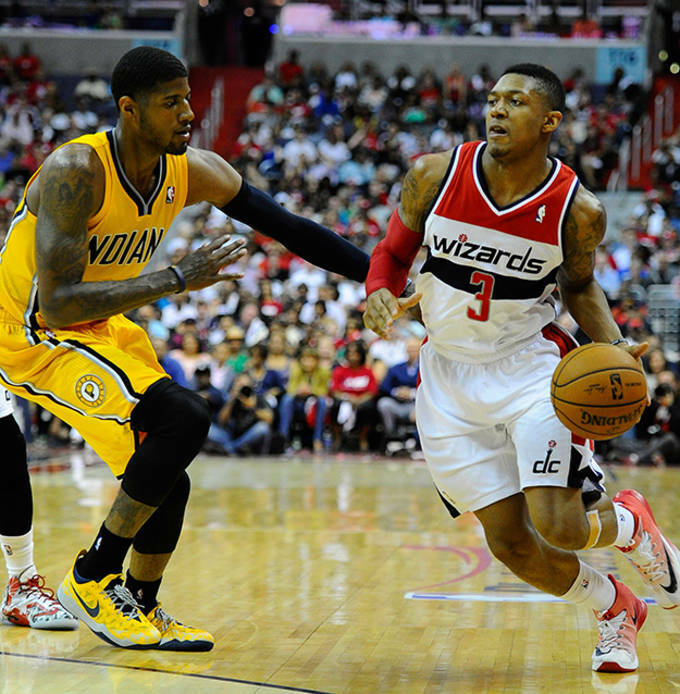 That was the conversation that centered around Paul George constantly during the NBA Playoffs. George had bright moments like a 39-point, 12-rebound performance against Washington. 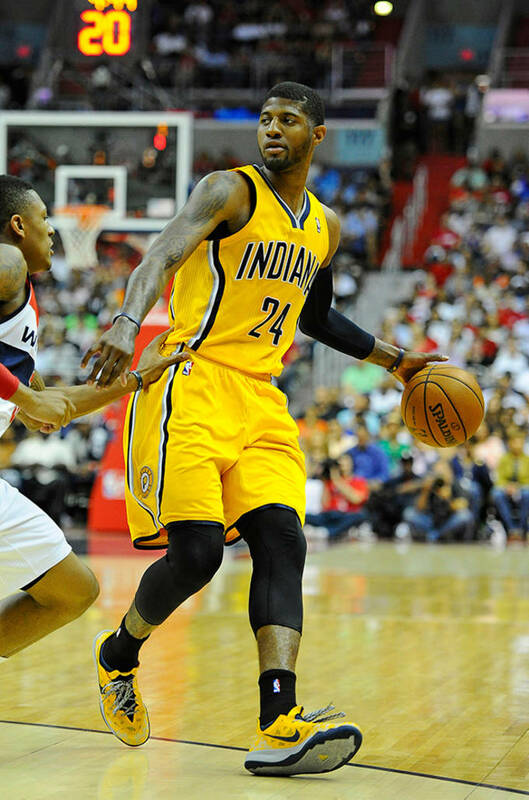 George wore various PEs of the Nike Zoom Crusader throughout the entire part of the postseason. 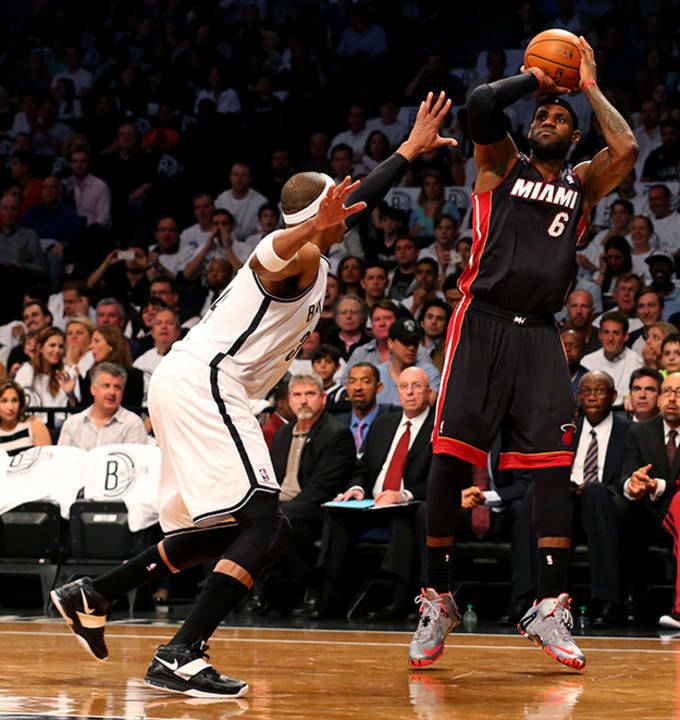 Will he get that signature shoe any time soon? 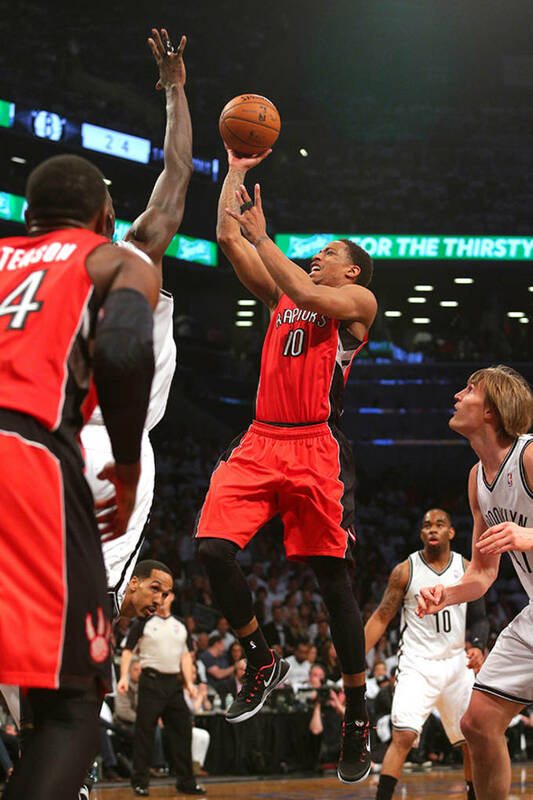 It wasn&apos;t a pleasant second round experience for the Portland Trail Blazers. 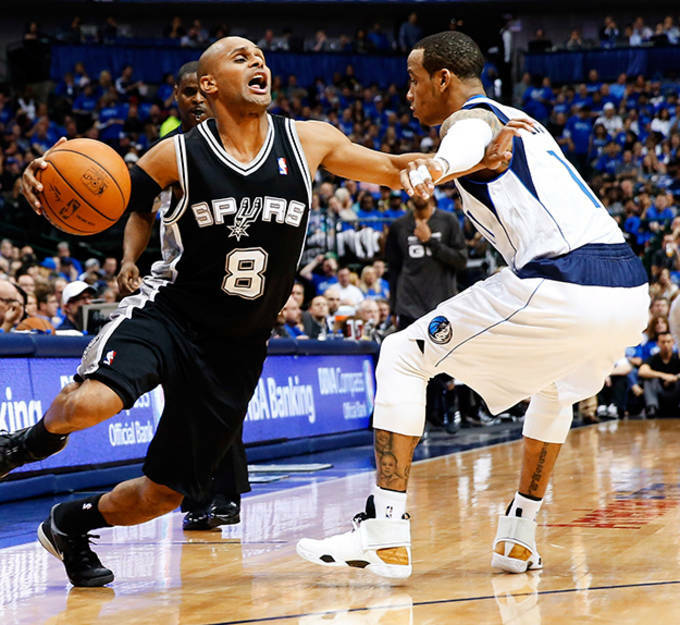 The Blazers were manhandled by the San Antonio Spurs who jumped out to a 3-0 lead. Damian Lillard and his Blazers squad prevented a sweep with a gritty Game 4 effort. 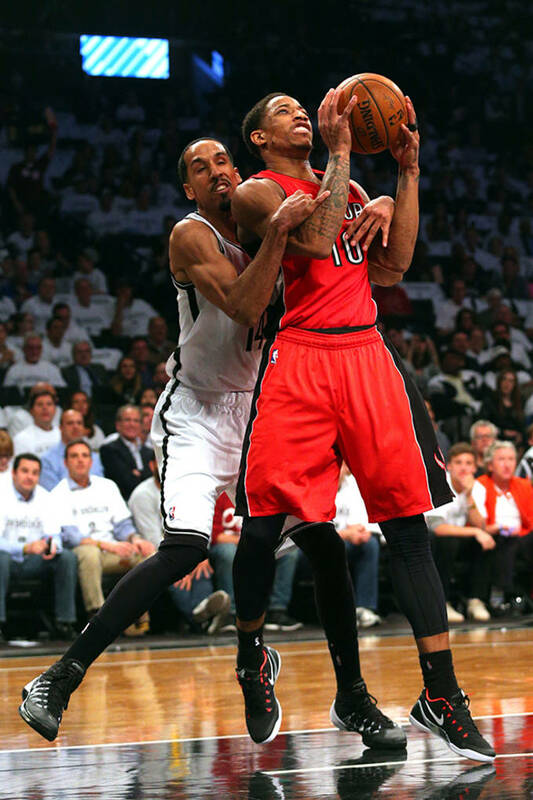 Lillard finished with 25 points including this nasty stuff on three Spurs in the second quarter. 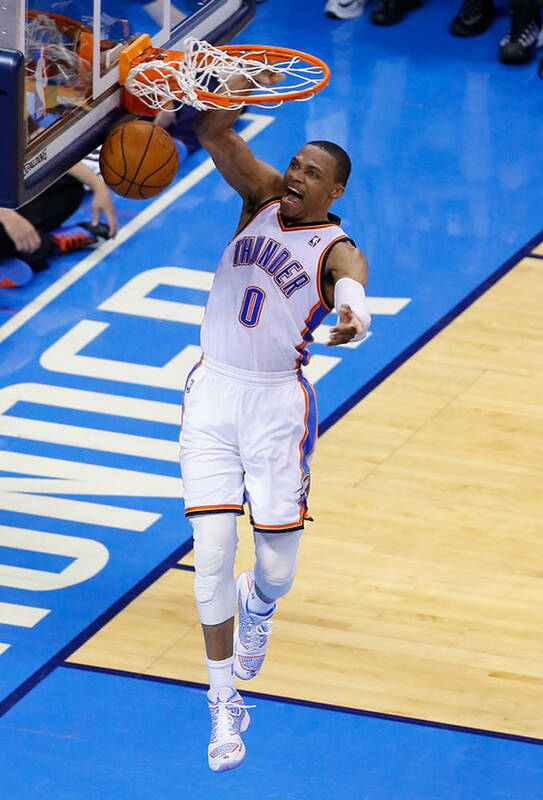 The 2014 NBA Playoffs was a special experience for Russell Westbrook. 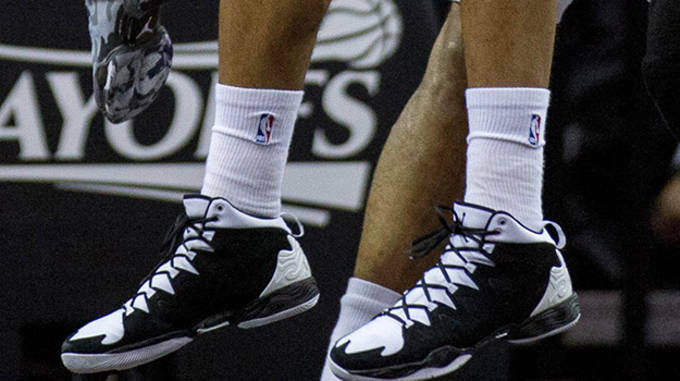 Not only was he making a return from an injury and competing for a championship, but he was chosen as the player to debut the recently revealed Jordan XX9. 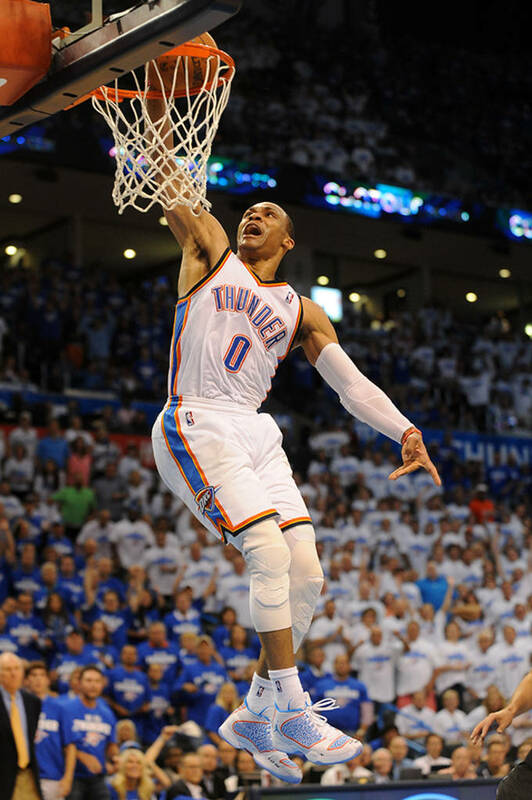 Westbrook wore numerous PEs of the XX9 during the playoffs and his star shined the brightest in the elephant print edition of the XX9. 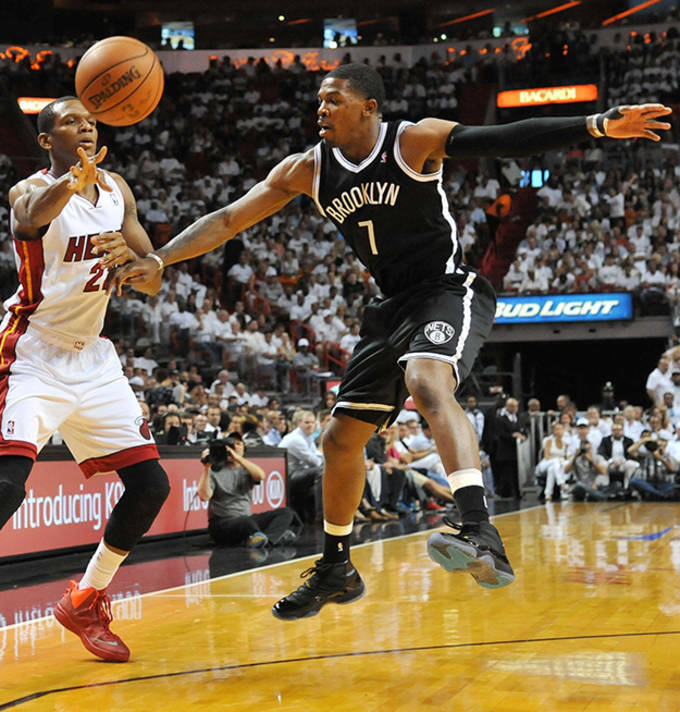 Joe Johnson only wore the Jordan XI "Gamma Blue"once in Brooklyn&apos;s elimination at the hands of the Miami Heat in the second round. While Johnson&apos;s lone appearance in the shoe ended on a bad note, it was a good look and an admirable choice. The Brooklyn Nets All-Star finished with 34 points, 7 rebounds, and 3 assists in that one and done moment in the Gamma Blues. 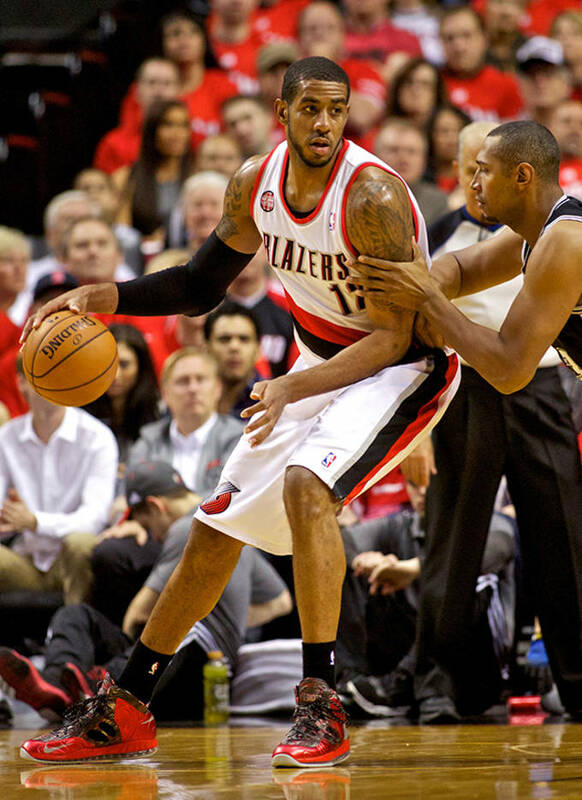 There weren&apos;t many players who performed better than forward LaMarcus Aldridge of the Portland Trail Blazers. The Blazer All-Star averaged 26 and 10 throughout 11 Playoff games and played a big role in helping Portland win its first Playoff series since 2000. 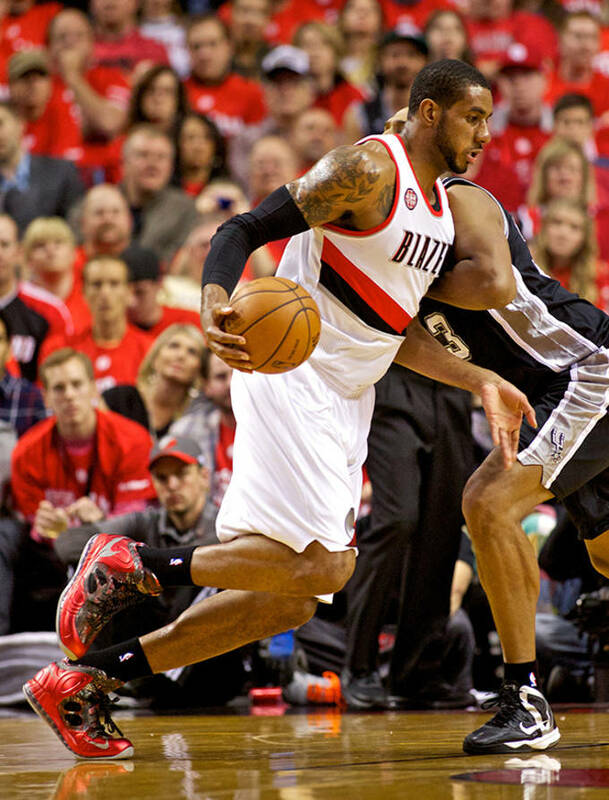 Aldridge wore some great Playoff PEs of the Nike Air Max Hyperposite throughout the stretch that stood out through his fantastic performance.